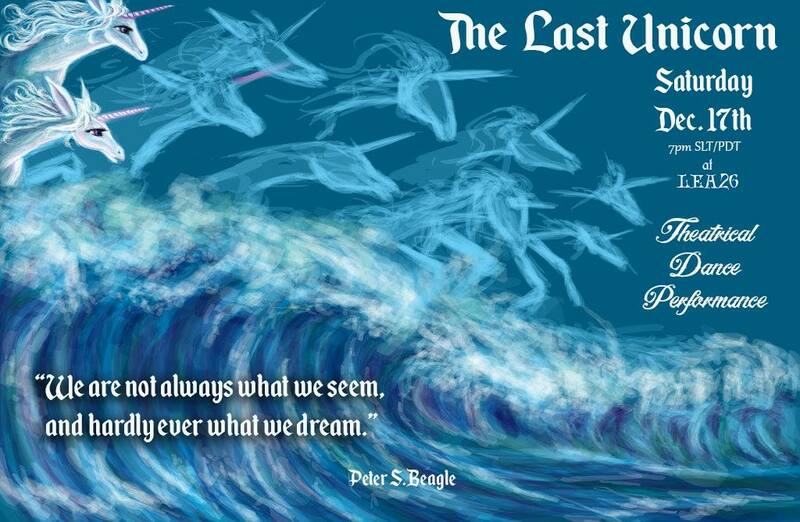 dedicated to the book by Peter S. Beagle. We're holding a dance and theatrical performance in honor of the sim, the magical story, and our experience at LEA26. These performances will be taking place all across the sim, as we take you into each scene through a magical experience with us! Transforming to Lady Amalthea- What Have I Done?